This description of the Gospel According to Luke is from Easton's Bible Dictionary. 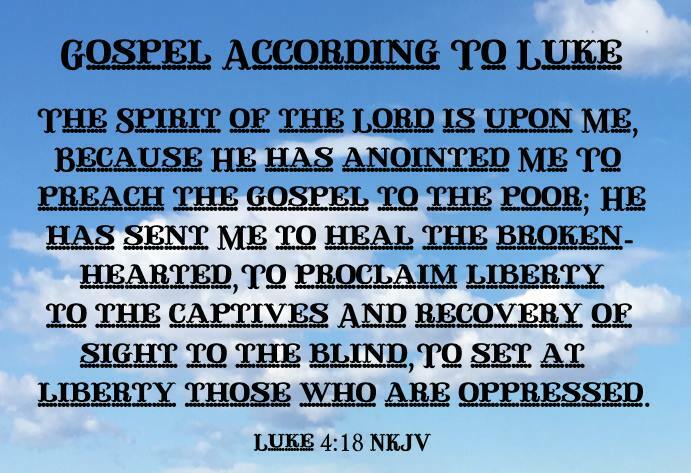 Luke, Gospel according to: was written by Luke. He does not claim to have been an eye-witness of our Lord's ministry, but to have gone to the best sources of information within his reach, and to have written an orderly narrative of the facts (Luke 1:1-4). The authors of the first three Gospels, the synoptics, wrote independently of each other. Each wrote his independent narrative under the guidance of the Holy Spirit. Mark has 7 peculiarities, 93 coincidences. Matthew 42 peculiarities, 58 coincidences. Luke 59 peculiarities, 41 coincidences. Luke's style is more finished and classical than that of Matthew and Mark. There is less in it of the Hebrew idiom. He uses a few Latin words (Luke 12:6; 7:41; 8:30; 11:33; 19:20), but no Syriac or Hebrew words except sikera, an exciting drink of the nature of wine, but not made of grapes (from Heb. shakar, "he is intoxicated", Leviticus 10:9), probably palm wine. Luke 4:22; with Colossians 4:6. Luke 4:32; with 1 Corinthians 2:4. Luke 6:36; with 2 Corinthians 1:3. Luke 6:39; with Romans 2:19. Luke 9:56; with 2 Corinthians 10:8. Luke 10:8; with 1 Corinthians 10:27. Luke 11:41; with Titus 1:15. Luke 18:1; with 2 Thessalonians 1:11. Luke 21:36; with Ephesians 6:18. Luke 22:19,20; with 1 Corinthians 11:23-29. 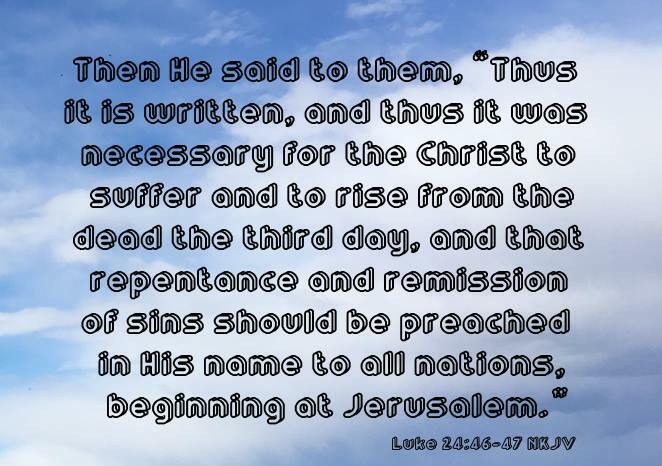 Luke 24:46; with Acts 17:3. Luke 24:34; with 1 Corinthians 15:5. This description of the Apostle Luke is from Easton's Bible Dictionary. Luke: the evangelist, was a Gentile. The date and circumstances of his conversion are unknown. According to his own statement (Luke 1:2), he was not an "eye-witness and minister of the word from the beginning." It is probable that he was a physician in Troas, and was there converted by Paul, to whom he attached himself. He accompanied him to Philippi, but did not there share his imprisonment, nor did he accompany him further after his release in his missionary journey at this time (Acts 17:1). On Paul's third visit to Philippi (Acts 20:5,6) we again meet with Luke, who probably had spent all the intervening time in that city, a period of seven or eight years. From this time Luke was Paul's constant companion during his journey to Jerusalem (Acts 20:6-21:18). He again disappears from view during Paul's imprisonment at Jerusalem and Caesarea, and only reappears when Paul sets out for (Romans 27:1), whither he accompanies him (Romans 28:2,12-16), and where he remains with him till the close of his first imprisonment (Philemon 1:24; Colossians 4:14). The last notice of the "beloved physician" is in 2 Timothy 4:11.